The Association of Pet Dog Trainers promotes training skills & techniques based on up-to-date, researched, methods that apply the principles of kindness, fairness & effectiveness, & are in keeping with modern learning theory. Membership of the APDT, UK is not automatic - trainers must complete an in-depth written, practical & oral assessment & be approved to join. Linda has been assessed & is an approved member of the APDT. Linda is a member of Animal Behaviour & Training Council, via Karen Pryor Academy. This is a regulatory "umbrella" body that represents animal trainers & behaviour therapists, & which sets & maintains the standards of knowledge & practical skills needed to be an animal trainer or behaviour therapist, aimed at promoting the welfare of animals in their interactions with humans. It is hoped that all vet & pet professionals are consulting the KPA, APDT & ABTC lists before referring their clients for training &/or behaviour management. Linda has been a proud member of the Association of Force-free Pet Professionals for many years. Read more about force-free training, & why we should all be doing it, here. 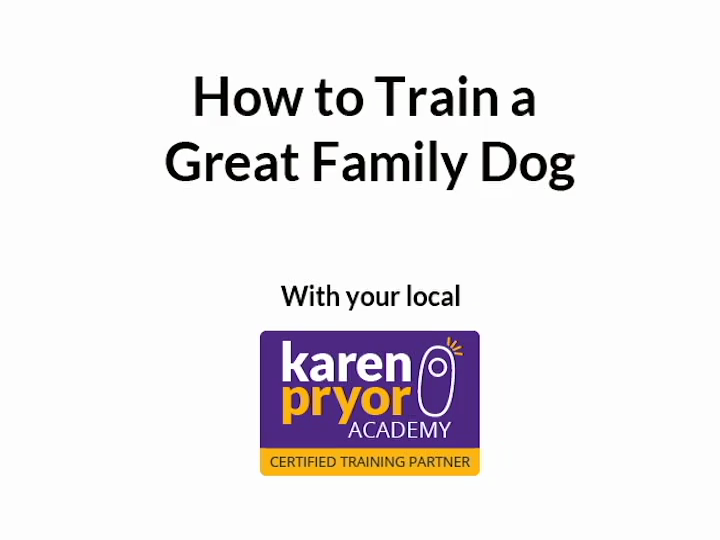 “Karen Pryor is the CEO of Karen Pryor Clicker Training and Karen Pryor Academy for Animal Training & Behaviour. Karen is an active, leading spokesperson and teacher for effective force-free training across the globe. Her work with dolphins in the 1960's revolutionized animal training by pioneering and popularizing force-free training methods based on operant conditioning and the conditioned reinforcer. Linda graduated from the Karen Pryor Academy’s Dog Trainer Program in 2012, achieving a distinction. Karen Pryor Academy has now achieved assessed membership status of the Animal Behaviour & Training council, of which we are immensely proud! Read Karen’s articles & much more about clicker training here. TAGteach™ is a new way of teaching, using "tag" (or single focus) points. The tag point is the specific learning goal that the teacher will mark with a tag that highlights success for the learner. The tag pinpoints the exact moment the tag point is executed correctly and gives immediate and clear feedback to the learner or athlete. Clarity and simplicity are key aspects of TAGteach. This teaching approach has very many applications, from business, to high-level sport, to health & safety, to any kind of coaching - like dog training! The use of this teaching modality enables you to be set up for success with your dog. Linda is a level 1 certified TAG teacher. ​“Doggone Safe provides educational programs to teach about dog bite prevention for schools, parents, expectant parents and workers. Read some of Doggone Safe’s resources here. Linda is a Be A Tree presenter. Linda completed Susan’s Living and Learning with Animals for Professionals course in 2012 & in 2013, gaining a certificate of excellence. "Fear Free provides online and in-person education to veterinary professionals, the pet professional community, and pet owners. Our courses provide learners and pet lovers with the knowledge and tools to not only look after a pet’s physical well-being, but her emotional well-being as well. We know we must feed the pet’s mind as well as the body so we make sure that in-home enrichment and Fear Free training are front-and-center with pet professionals and pet owners alike. Founded by “America’s Veterinarian,” Dr. Marty Becker, Fear Free has become one of the single most transformative initiatives in the history of companion animal practice, with over 25,000 veterinary and pet professionals committed to becoming Fear Free certified."